This extravagant bay is named after James Brown, not the musician, but one of the first colonizers that built his cabin on its shores. 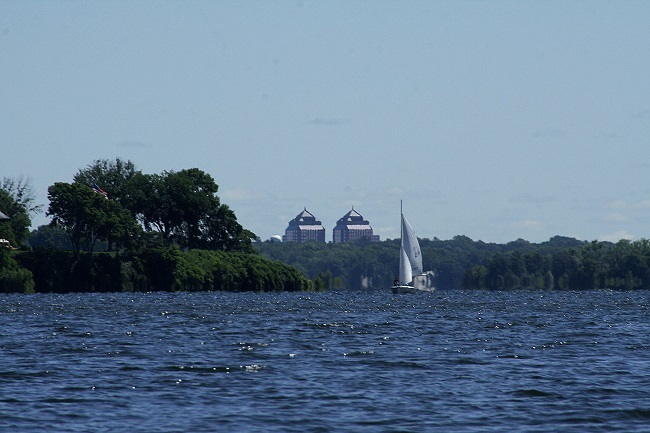 Browns Bay is located on the eastern side of Lake Minnetonka, just west of Wayzata Bay. Orono and Wayzata are the cities encompassing Browns Bay. Points of interest on the bay are Bracketts Point, also referred to as Orono Point, and Lookout Point. Northshore Marina is located on this bay, providing boat slips and services.